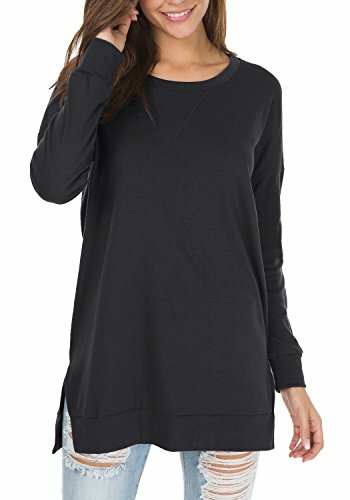 Levaca Women's Fall Long Sleeve Side Split Loose Casual Pullover Tunic Tops,in any single wear,or as a basic shirts,Have a good show in all seasons. *All items are individually measured by the "Levaca" Team. The Pullover Tunics are Perfect to Pair with Your Favorite Jeans or Leggings. If you have any questions about this product by levaca, contact us by completing and submitting the form below. If you are looking for a specif part number, please include it with your message.